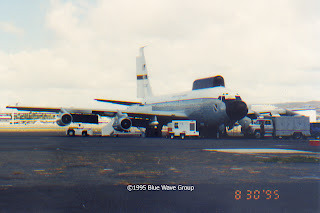 For our March edition of "HNL RareBirds Classic", we go back to August 1995, when a US Air Force NKC-135E Stratotanker, 55-3132 (c/n 17248), of the 452nd Flight Test Squadron, Detachment 2 / 412th Test Wing (Air Force Materiel Command), based at Kirtland AFB, NM, was seen parked on the Anderson Aviation ramp after landing on Runway 4R. 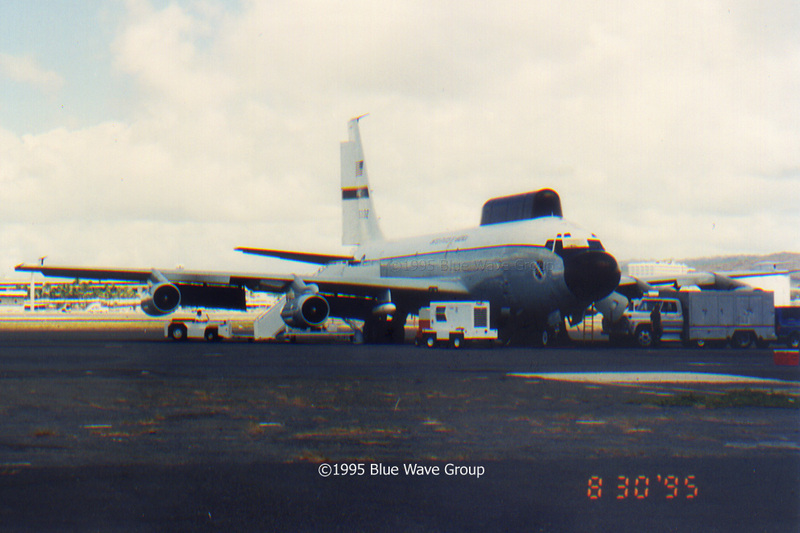 It was unusual to see a US Air Force jet parked on the south side of HNL. 55-3132 was nicknamed "Big Crow 1", and was part of the Electronic Warfare Vulnerability Assessment program. It was later used a target bird for the YAL-1A anti-missile laser aircraft. Since 2008, 55-3132 has been retired, and relegated to the AMARC (Davis-Monthan AFB, Tucson, AZ).